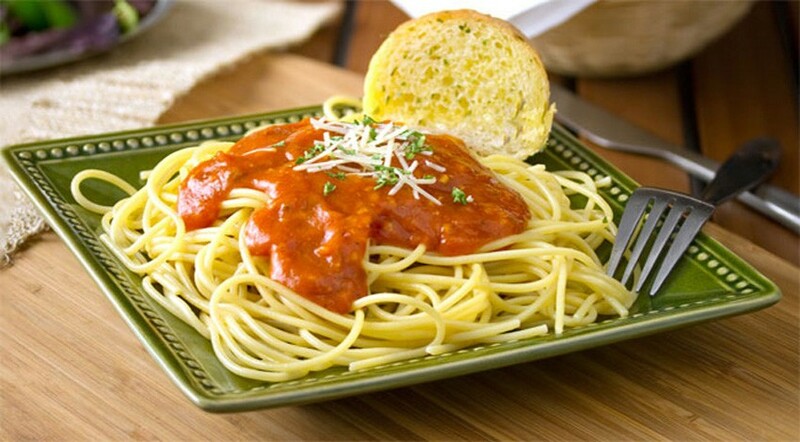 Cover 1 cup of cooked spaghetti with 6 oz. 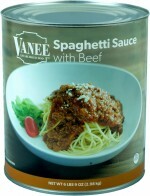 of Spaghetti Sauce with Meat. Garnish to taste.